The Oiasso Roman Museum and the City Council of Irun organize the International Archaeological Film Festival of the Bidasoa. The aim of the Festival is to present archaeology to the general public, through the diffusion of audio-visual material resulted from the work made by archaeologists, assuring the promotion and the spreading of these films. The Festival is being celebrated since the year 2001 and from the year 2004 it has three prizes: the Grand Prize of the Festival, the Special Audience Prize and Arkeolan Prize for Contribution to Science. 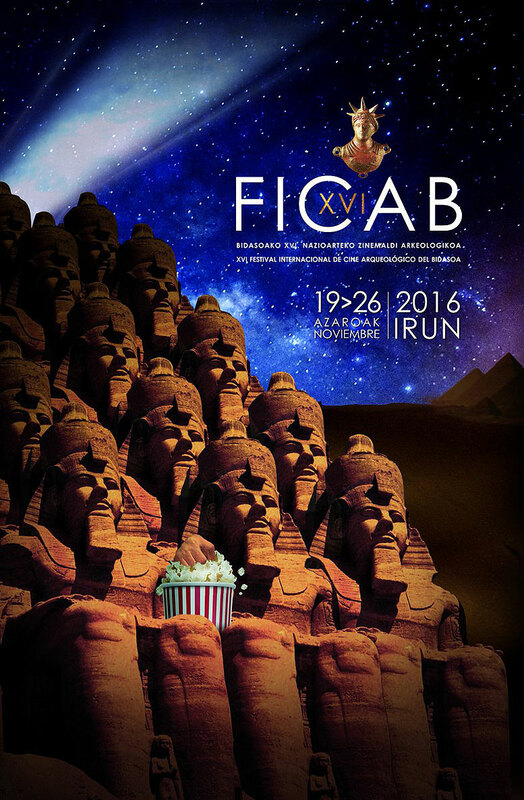 Since 2006, it’s inside Fedarcine, the European network of Archaeological Film Festivals. The Bidasoa Archaeological Film Festival offers a broad-ranging and extremely varied programme featuring films of differing lengths focusing on different periods and themes, but all with one thing in common: their ability to transport us back in time. Every year FICAB takes its audiences on a fascinating voyage through space and time. Starting with the Neanderthals and tracing our roots right up to the modern era, the journey is an opportunity to meet Egyptians, Babylonians, Phoenicians, Etruscans, Iberians, Thracians, Romans and Moches, all eager to share the most fascinating aspects of their culture with their visitors from the future. The festival also included a workshop-seminar. This parallel event was targeted at professionals working in the museum and audiovisual production fields, and aimed to instigate and foster debates and discussions regarding the use of new technologies and audiovisual resources in museum exhibitions.